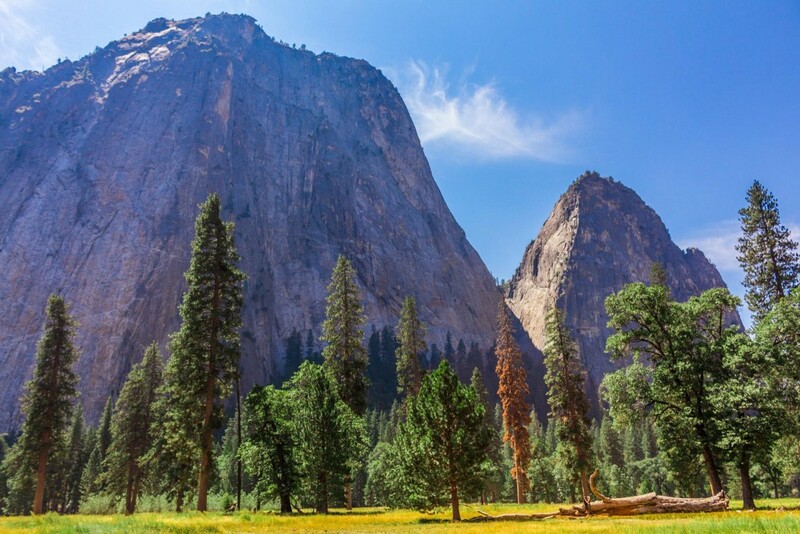 On August 25th, the National Parks Service celebrated 100 years of existence! It’s pretty amazing that 100 years ago, the NPS was officially formed and to see how far we’ve come since that day. 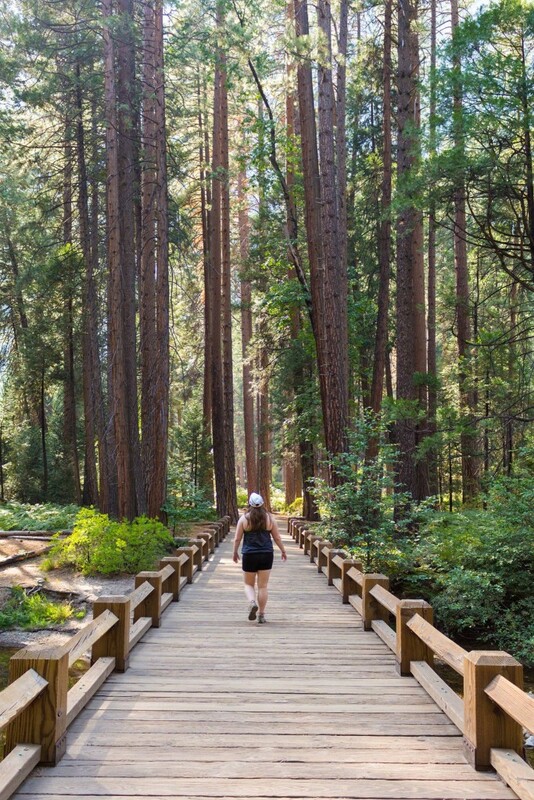 As you know if you’re a frequent Next Stop Adventure reader, I love going to America’s National Parks. I love exploring new parks I’ve never been to, and revisiting parks that I’ve seen a few times. Brighton and I had put Yosemite on the Bucket List for obvious reasons (giant granite walls, beautiful juxtaposition of rocks and valley, waterfalls, alpine lakes— sign me up!) a while ago. It’s about a 12 hour drive from Salt Lake, so the trip required a little planning in advance. While it’s usually a serene, quieter experience to visit the national parks in the winter, I’ve found that I tend to enjoy the scenery more when it’s lush, green and alive! I wanted my first visit to Yosemite to be in the summer. Ever since moving West, where there are real seasons, I’ve noticed that I cherish the warmer, more lively months because I know they don’t last forever. In SLC, when I am just getting “used” to a season, it changes on me. I like it because the change is nice, but when summer is ending I tend to freak out a little wanting to get “one last” road trip, or “one last” camping trip, or “one last” hike in. (You get the picture). 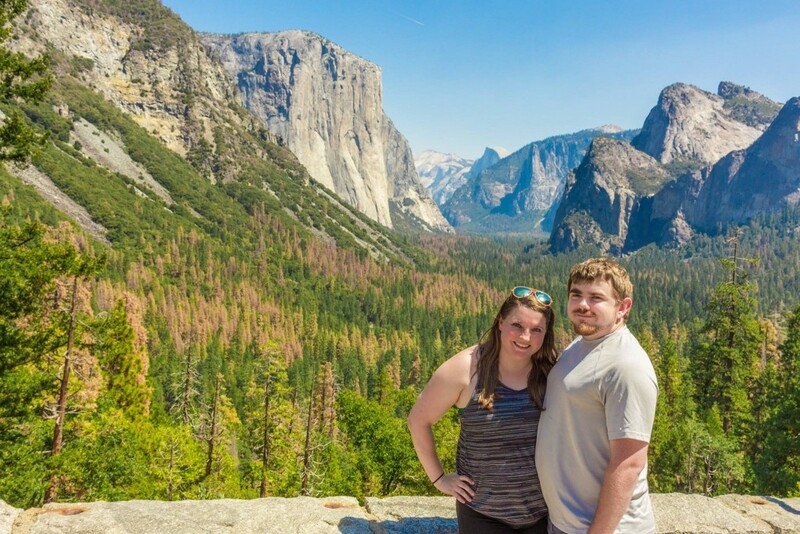 In early August, I realized summer was going to be coming to an end, I hurried and found an employee-discount hotel room close to Yosemite, and booked it! Brighton and I also decided that some of our honeymoon money was going into this trip since we hadn’t spent much on our “mini moon” earlier this year, and it’s going to be a couple years before we can make it to New Zealand for the “real” honeymoon. On our first day of the trip, one of the “driving days,” we drove west on I-80 for about 7 hours and stopped at Lake Tahoe for lunch. Note to fellow travelers: The stretch of I-80 between Salt Lake City and Reno is very boring (with the exception of the Salt Flats). We switched off driving often and stopped for gas more often than we needed to. 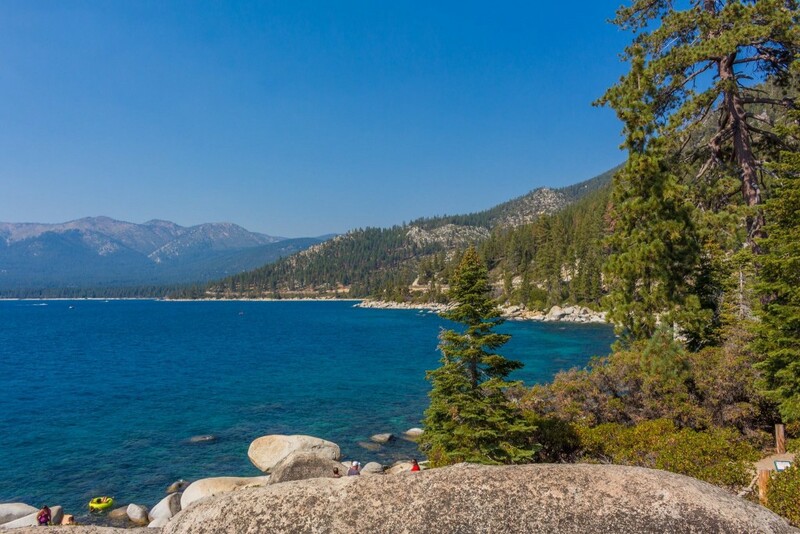 I’ve never seen Lake Tahoe, but I’ve wanted to since learning it was that far from SLC (in my terms). It was a gorgeous blue color, that all the photos you’ve seen of it show. It really is that blue. 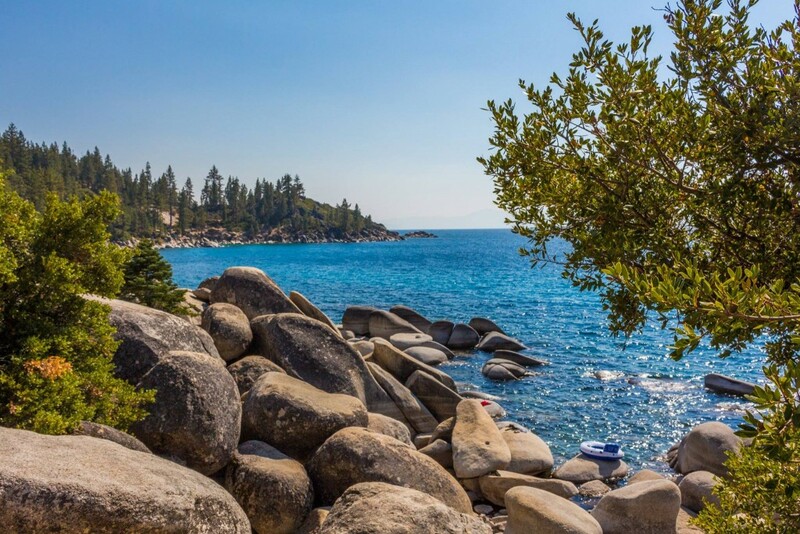 According to scientists, the reason Lake Tahoe is so blue is because of the amount of algae in the water, not necessarily the clarity of the water. We ate at Tunnel Creek Cafe , that we found via Yelp. They are situated on a popular mountain bike and hiking trail, so we saw many adventurers while we ate. They have sandwiches, coffee, and beer. It was simple, but perfect for what we were looking for on our pitstop. After lunch, we drove along the edge of Lake Tahoe and parked at a public recreation location to take some photos. The rest of our drive was relatively uneventful, and we made it to Merced, California by dinnertime to check in and crash for the night. 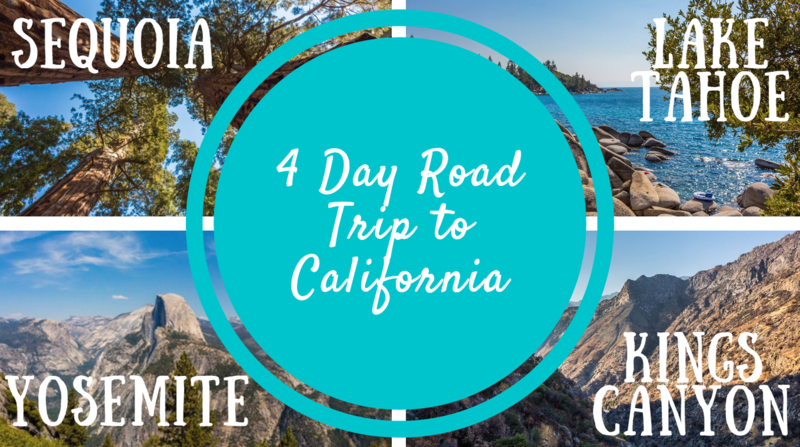 On our second day of the trip, we drove about 2 hours south to go to Sequoia and Kings Canyon National Parks. The parks are technically two separate parks, but they share a boundary, and the visitor centers will give you information about both. 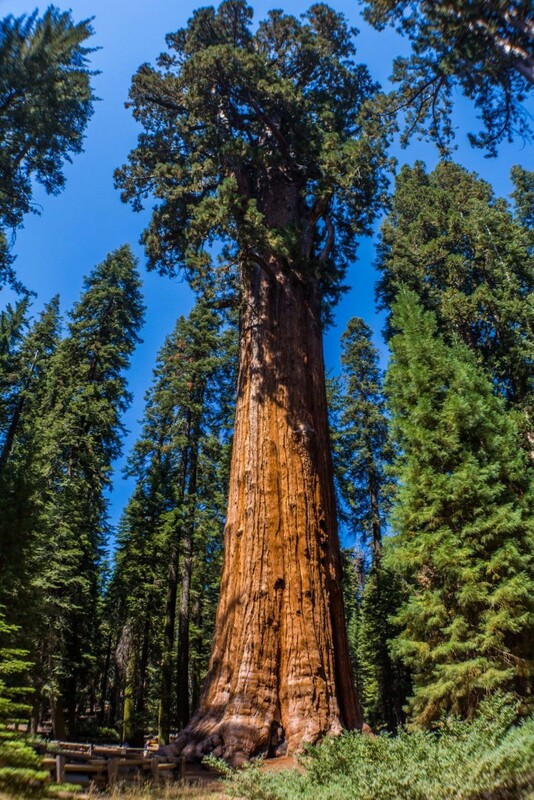 Sequoia is the home to the largest living tree on Earth (not to be confused with the tallest tree), General Sherman. The trees were both incredibly tall and wide. 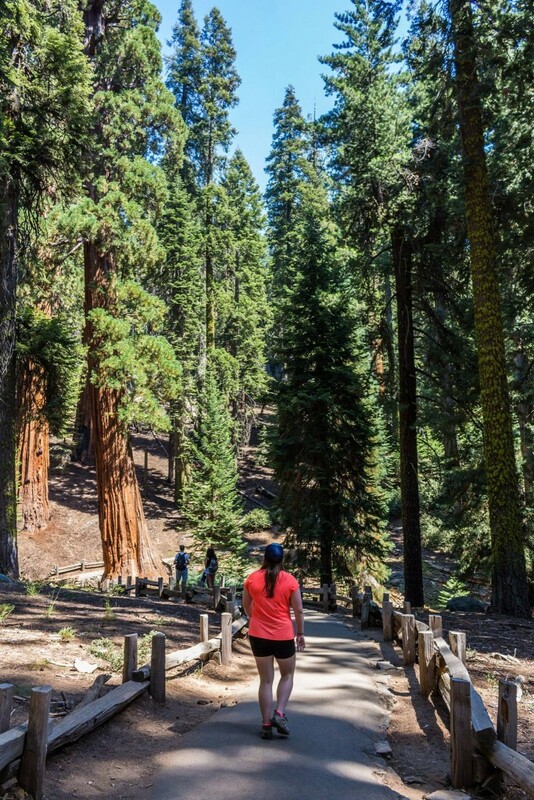 We wandered through the Giant Forest in Sequoia and went on a short hike to Buena Vista Peak in Kings Canyon. Since this was the last day of the Centennial celebration and the free entrance days, there were many visitors to these parks. We had hoped that by going to these less popular parks, we could beat some of the crowds. I’m sure it was better than visiting Yosemite that day, but we definitely didn’t have any solitude either. 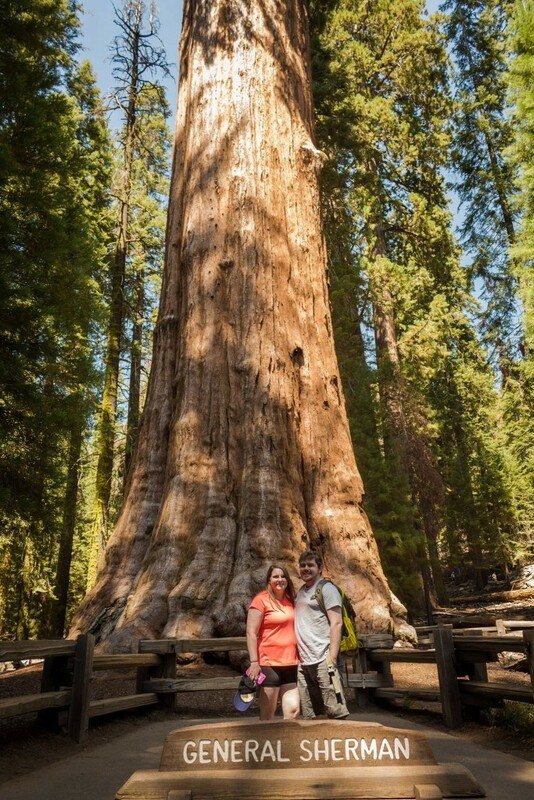 The General Sherman Tree measures 103 feet around, and it’s 275 feet tall—and it’s still growing. Every year it adds enough wood to make another 60-foot-tall tree. You can find this beast on the Congress Trail. 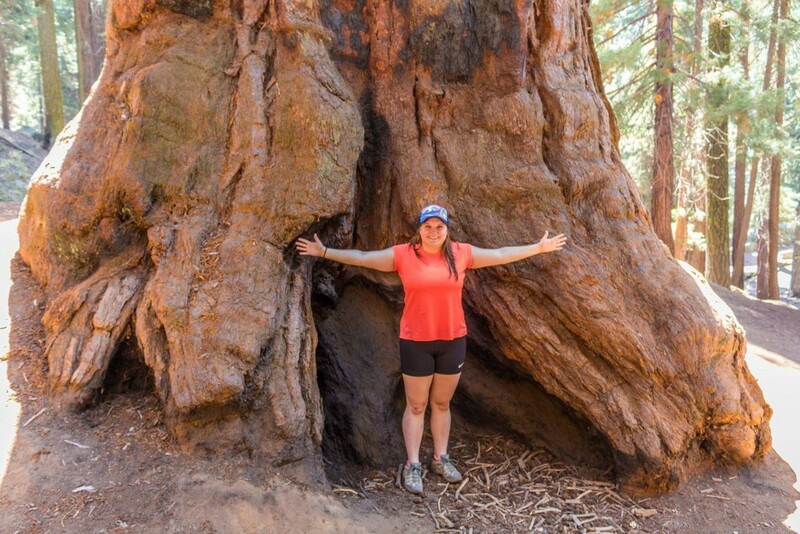 Even thought this is a giant tree, it’s not the oldest tree because the ancient bristlecone pines are the oldest trees in the world. We saw those when we visited Great Basin National Park in July! 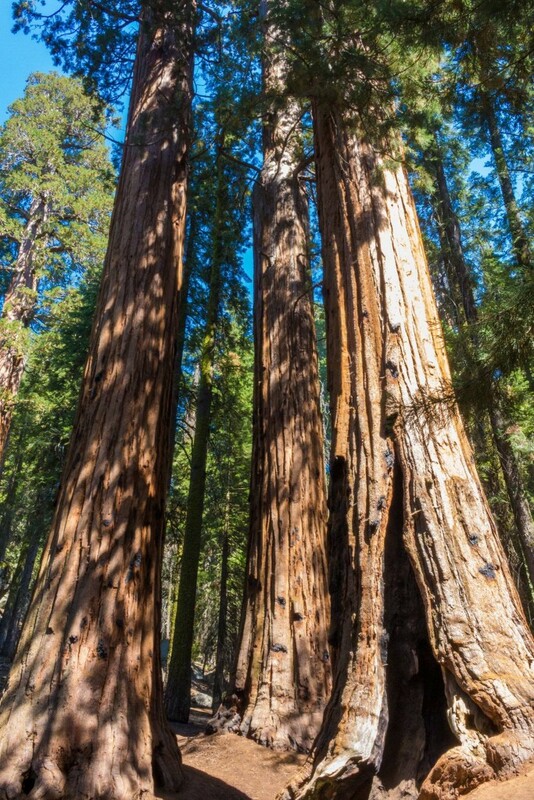 This is a photo of three of the largest trees in the world– after the General Sherman tree. 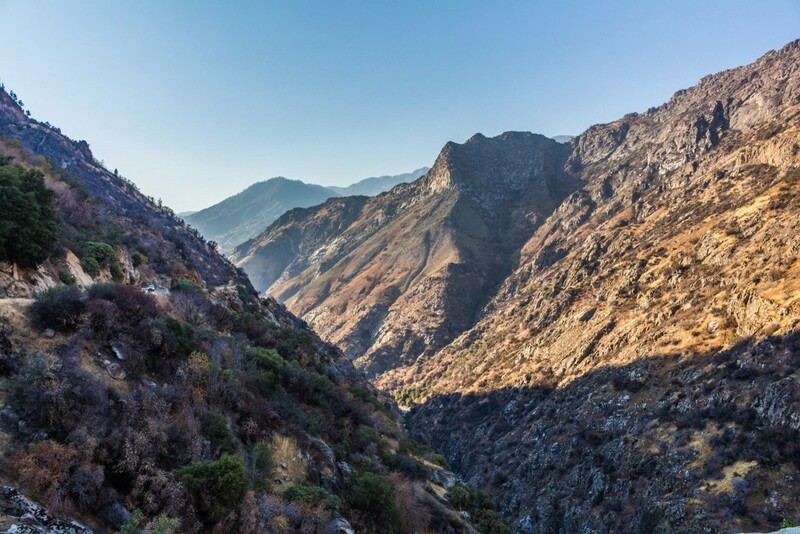 Located in Kings Canyon, across from the Kings Canyon Overlook is the trailhead for the Buena Vista Peak trail. 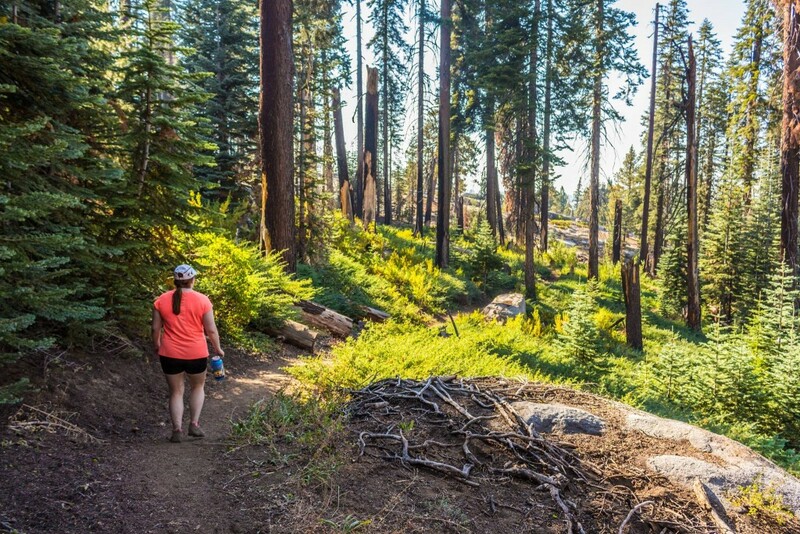 This generally easy trail winds through the forest and brings the hiker to 360-views at a 7,604-foot summit! Brighton and I were a couple of maybe 5 hikers on this trail that day, and we ended up getting a little turned around and heading up the backside of the summit. While it got us to where we were going, I wouldn’t recommend straying from the trail. Follow the well-trafficked path through the forest along the backside and around the base of the summit on a much gentler trail if you plan on trying this one out! Let me start with a confession: I am a sucker for big mountain views, giant canyons, and granite walls. Forests are awesome, but that panoramic view that makes you feel tiny in this giant world— that’s the feeling I want in a National Park. For our first visit, it was important to me to hit the popular spots in the park with the time we had. We started the day by driving into Yosemite Valley from Merced, about an hour and a half drive. 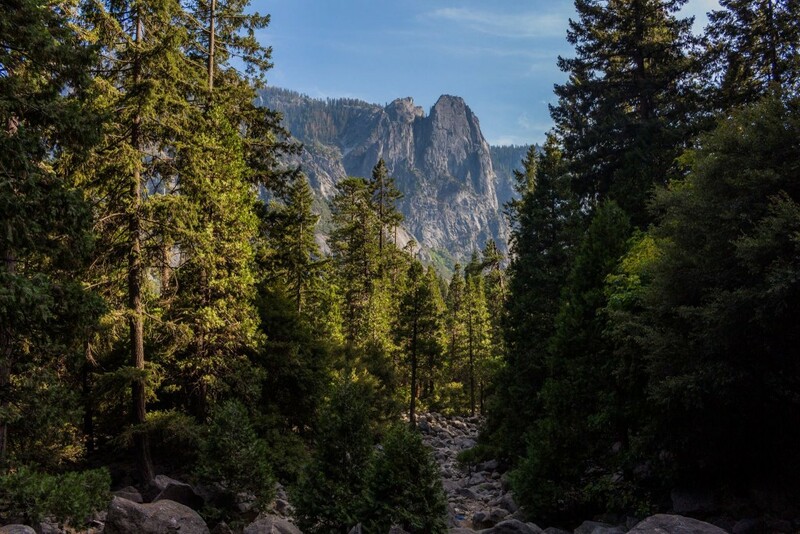 Yosemite Valley is a great starting point for many points of interest, including Yosemite Falls (Upper & Lower), a fantastic view of El Capitan, Sentinel Meadow, and of course, the visitor’s center, restaurants, and much more. Brighton and I were surprised how developed the valley area was. They have several buses circling during peak season, there are parking lots A through G like an amusement park, there is a developed walker/biker path all around the area, and lot of traffic controls in place. It was so developed, it made me a little sad, but with the amount of visitors this park gets every year, it’s necessary and I don’t see much other option except limiting the maximum number of visitors at any given time in the park. The valley itself was very pretty, and a spectacular way to enter the park. Green meadows with views of the massive granite walls, I can see why this is one of the most photographed areas in the park. 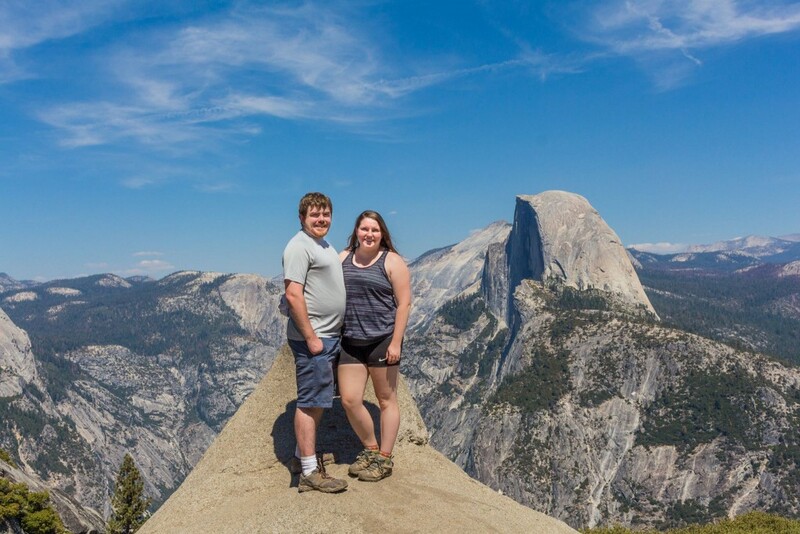 We decided we wanted to try to get out of the valley craziness and traffic to visit another one of the most popular views in the park— Glacier Point. On our way there, we stopped at the Tunnel View lot (right before the tunnel if you’re looking for it). 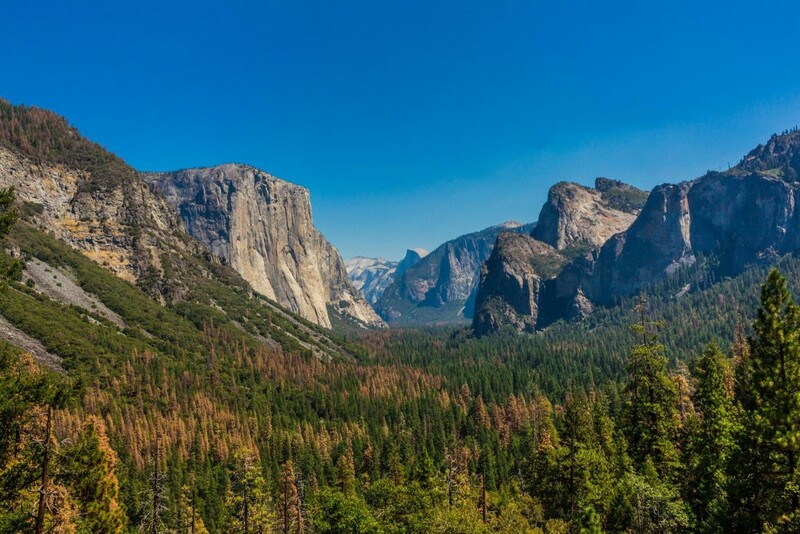 The view looks eastward into Yosemite Valley, and includes surrounding features, such as the southwest face of El Capitan on the left, Half Dome on axis, and Bridal Veil Fall on the right. 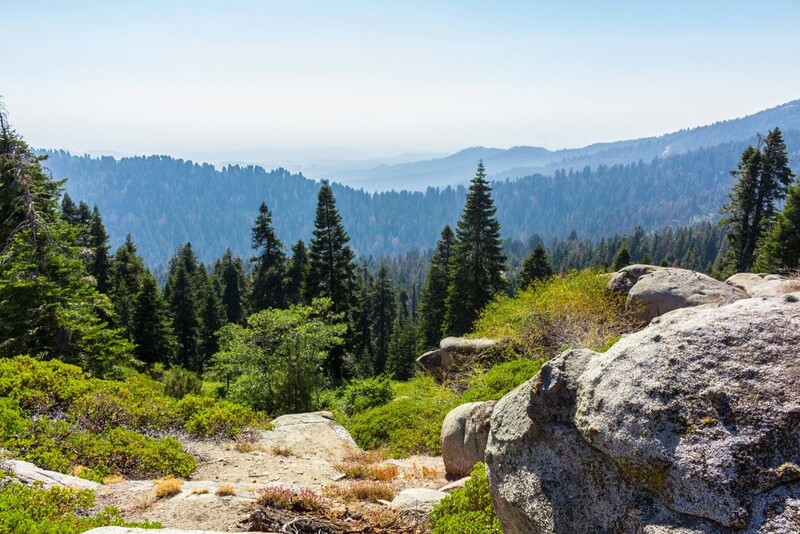 Dramatically different view than the valley, this point situated at 7,214 feet in elevation is a panoramic view into Yosemite. We drove the hour drive from the valley, and we were not disappointed. There’s a small visitor center/snack stop at the top in the parking area, and lots of opportunities for photos. Despite the people around, it was just nice to look down into the vastness of the canyon. For the last stop of the day after coming down from Glacier Point, we walked over to Lower Yosemite falls near the visitor center. 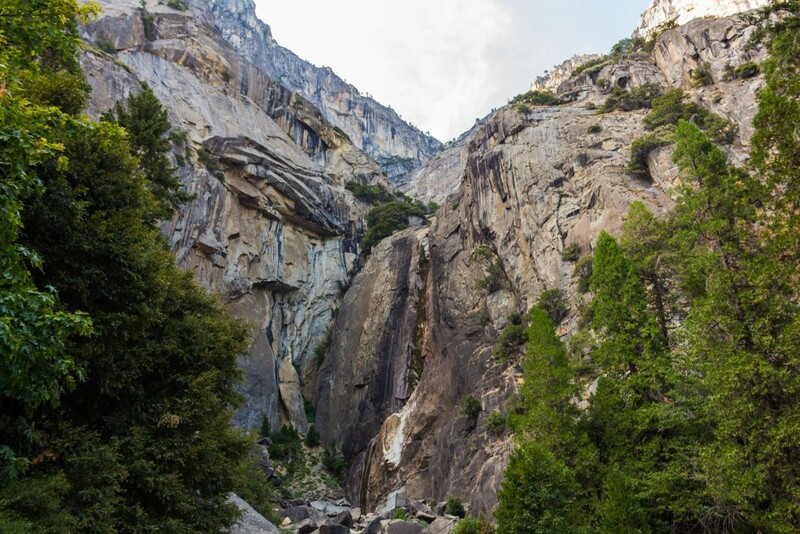 The rangers at the center mentioned that Lower Yosemite Falls tends to be dry by this point in the year— and it was. The falls peaks during spring and early summer with roaring falls, while its dry by late July and August through October. Later in the day, this trail was pretty peaceful! 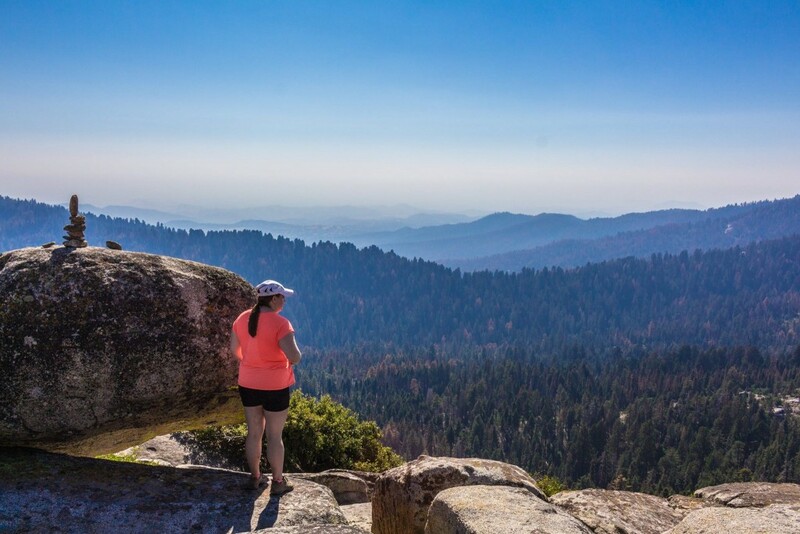 What a dramatic difference from the views from Glacier Point! This photo is the view from the opposite direction of the waterfall. The cool part of this falls is that it’s part of North America’s tallest waterfall, and it’s the final 320-foot drop into the rock bed below. The trail is very easy and quick, and it was a good way to end the day, despite the lack of water. Our last day of the trip was the drive back to Salt Lake City. It was about a 12 hour drive, and we lost an hour on the way back. 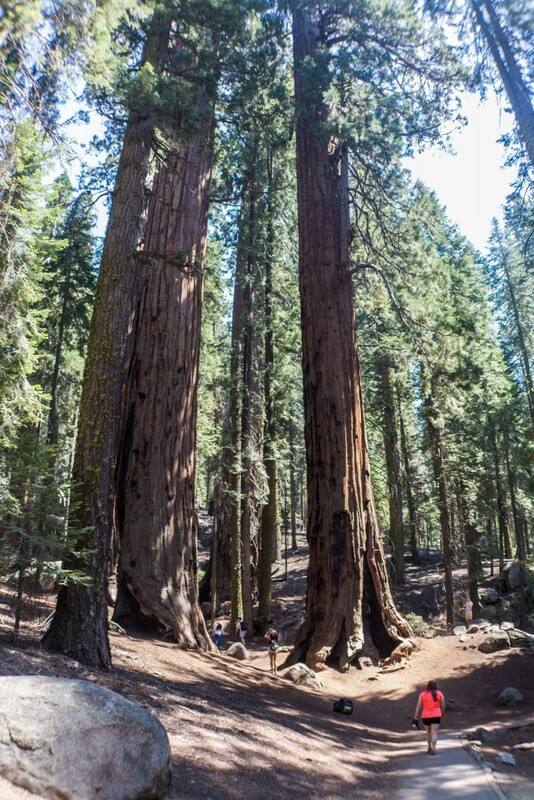 In summary, our trip was jam-packed full of spectacular views, giant trees, and celebration of the NPS centennial. I love our national parks, and I cannot wait to share the joy of experiencing them with our future children and grandchildren. I’m very thankful that my parents instilled a love of nature during all those years of visiting our North Carolina house while I was growing up. How did you celebrate the NPS Centennial? 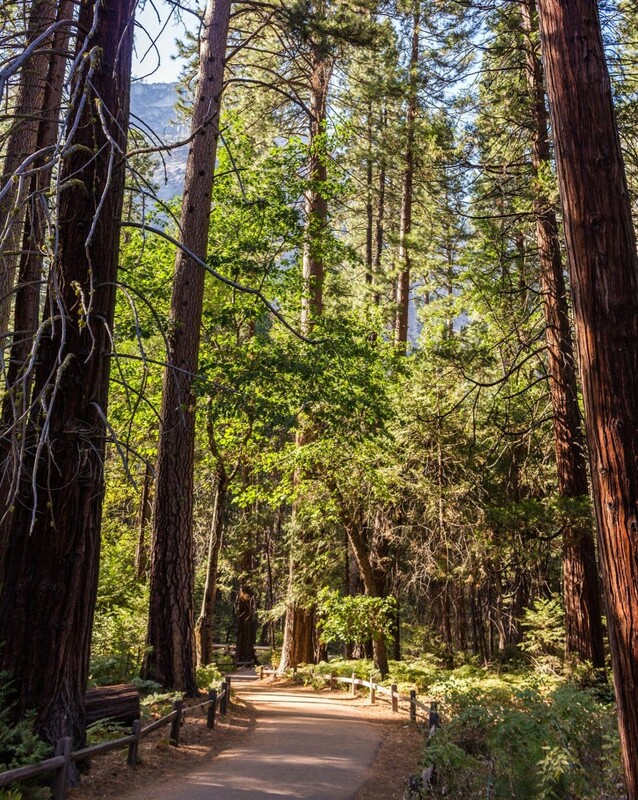 Do you have any plans to visit a national park soon? If so, which one and why?